Moniteur ACER XB280HK 28'' 1ms 4K UKD LED DisplayPort USB 3.0 Hauteur Inclinaison Ajustable - 4K - MONITEURS C'est simple, nous battons tous les prix!!!!! In competitive gaming, every frame matters. Introducing Acer's XB0 Series gaming monitor - the world's 1st Ultra HD 4K2K resolution monitor that can keep up with your game play. Through NVIDIA G-Sync technology, on-screen action is smooth and clear, minimizing distractions, boosting response times, and giving you a serious competitive edge. 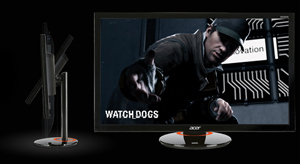 Plus, users can enjoy comfortable viewing experience while gaming via flicker-less, low dimming and ComfyView display. Acer XB0 28" monitor features Ultra HD 4K2K resolution (3840 x 2160) presenting stunning, high quality images with excellent detail that not only enhances users' working efficiency, but creates outstanding visual enjoyment. 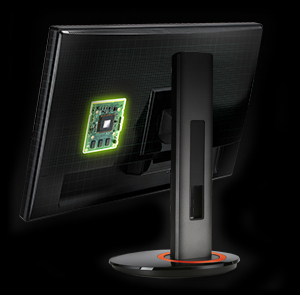 NVIDIA G-SYNC technology synchronizes the monitor's refresh rate to the GPU render rate, providing the smoothest, fastest gaming experience. G-SYNC even eliminates screen tearing and minimizes display stutter and input lag when users start playing games so scenes appear instantly and sharper. 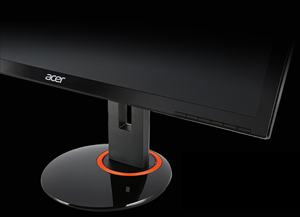 Acer's large 28-inch flicker-less monitor eliminates annoying screen flicker, and provides a comfortable viewing experience, especially for those heavy monitor users, like programmers, writers, students or graphic designers. The ErgoStand pivots and tilts for the best viewing angle while the height can be adjusted for different desk heights with a simple push or lift. Its VESA compatible mounting offers a sleek, space saving option in tight spaces and power-saving technologies conserve cost and resources. Five high-speed USB 3.0 ports provide gamers a convenient scenario to connect mouse, keyboard, gaming headset and mobile. Plus, there is one USB port equipped with "Battery Charge" for quick charging. Stylish and environmentally friendly, the 27" LCD is designed to meet ENERGY STAR® standards reducing energy costs and conserving energy.